Image credit & copyright: Shane Michael Black. Happy Saturday everyone! Let’s start the weekend with this brilliant image by Shane Michael Black. 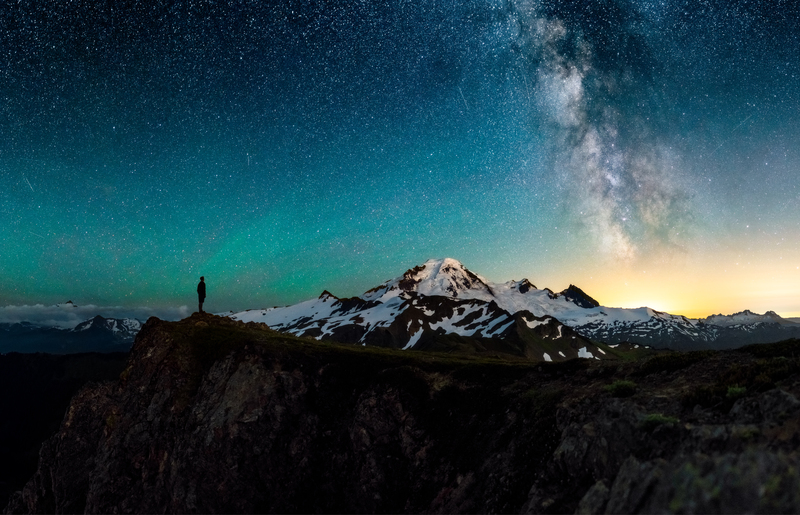 In this image the Milky Way stands tall beyond the faint green airglow blanket and the admirer in the foreground while the snow covered Mt. Baker sits silently with him. Mt. Baker, located in Bellingham, Washington at 10,781 ft. is the tallest mountain in the Northern Cascade Range and get this; more snow falls in this area than almost anywhere else on Earth. Mt. Baker is also a stratovolcano and the northern most volcano in the Cascade Range. It’s young too. It’s one of the youngest volcanos on the range and the current cone at its summit is only about 100,000 years old. 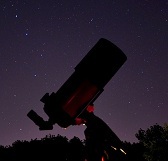 I’d love to stand here on a clear night to take in the landscape and peer through our nightly window to the universe. I hope you enjoyed this amazing image from Shane and be sure to check out the rest of his works in the provided links. Image | This entry was posted in Astrophotography (Wide Field), Galaxies, Images and tagged Astronomy, Astrophotography, DanSpace77, Mount Baker, Mt Baker, Night Sky, Science, Shane Black, Shane Michael Black, Space, WA, Washington. Bookmark the permalink.